Your mom will walk into the kitchen and start screaming. Your dad will come downstairs and yell at you for letting a barnyard animal into the house. You'll be grounded for a week. You'll miss the Molten Eardrum concert that weekend. Your friends will all go and have a great time. They'll all get matching Molten Eardrum t-shirts and stop hanging out with you at school. They'll call you names like "Pig Boy." You'll start spending a lot of time on the Internet. You'll get an email from someone who claims to be the Prince of Nigeria. He'll offer to give you one million dollars. You'll give him access to your parents' bank account so that he can deposit the money. Your mom and dad will discover that all of their money is gone. They'll kick you out of the house. 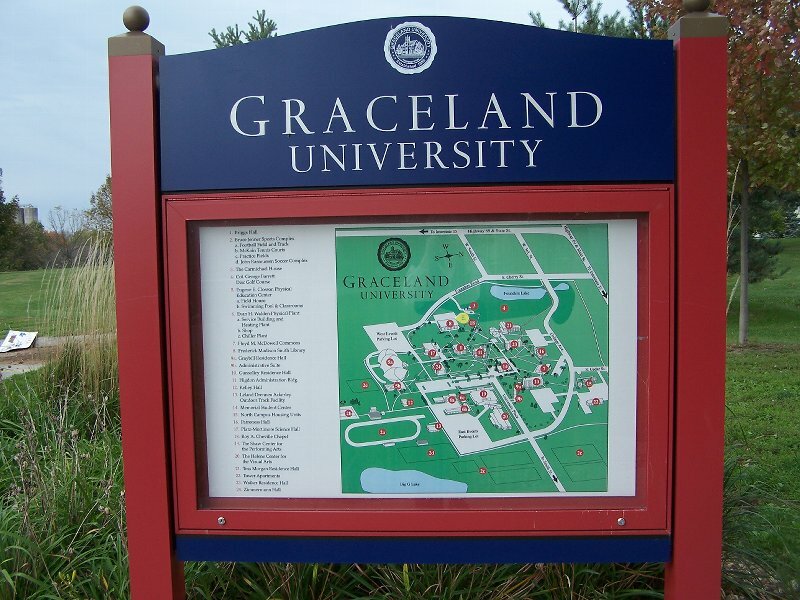 You'll ask them where you're supposed to go. Your mom will say, sarcastically, "Why don't you go ask your pig friend?" Your dad will say, "Why don't you go live with the Prince of Nigeria?" Homeless, broke, and hungry, you'll break into a local pancake restaurant. The police will catch you. 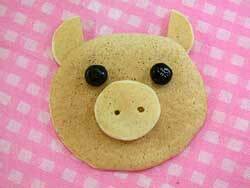 You'll tell the judge it's all because you gave a pig a pancake. He'll have no idea what you're talking about. Your first day at prison you'll meet a guy named "Pig" who is serving 30-to-life. He'll sit next to you in the cafeteria. He'll ask you for your pancake. You'll give it to him. "Fall, Winter, and Spring are kind of like hibernation for humans." I took the boys to the new Luna Park on Coney Island. 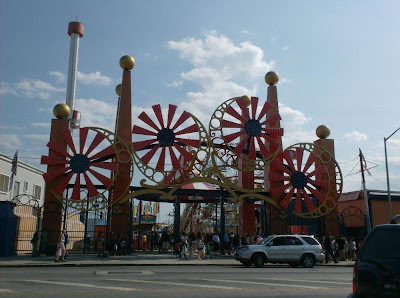 It's built on the site of the old Astroland, which closed a couple of years ago. It's named after the original Luna Park, which was one of Coney Island's three magnificent amusement parks at the turn of the 20th century. 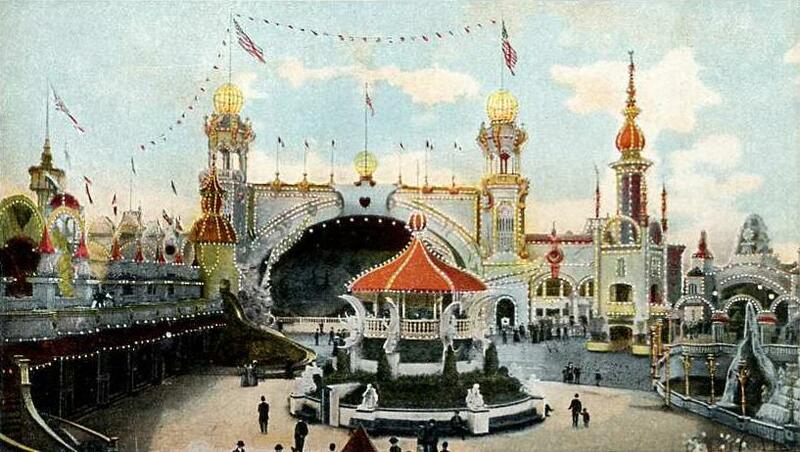 1) The rides are new. The place is clean. 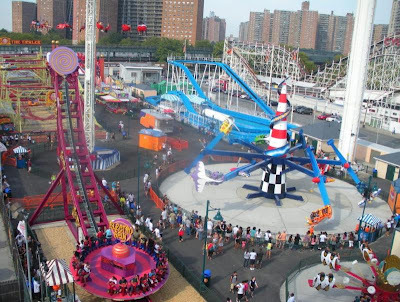 It reminds me how much I disliked crappy old Astroland. Astroland was like the 90-year-old aunt who never bathed, but out of respect for the family legacy you pretended she didn't smell so bad. 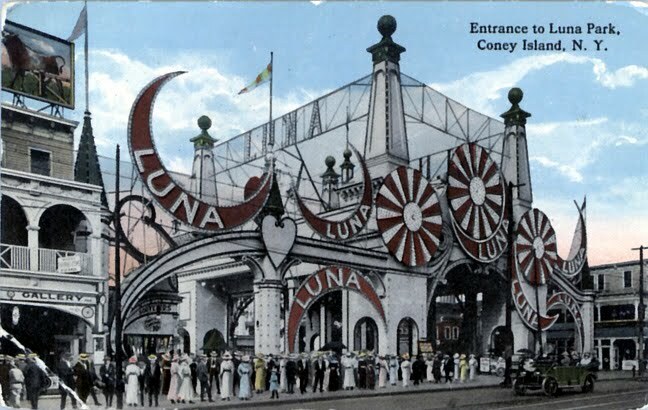 2) I appreciate the nod to the old Coney Island--the way they incorporated icons of the original Luna Park in the new park's entrance. The photos below were taken directly across the street from one another--100 years apart. Kinda cool. 3) Not to be a downer, but it's still surrounded by derelict buildings and a beach littered with glass. 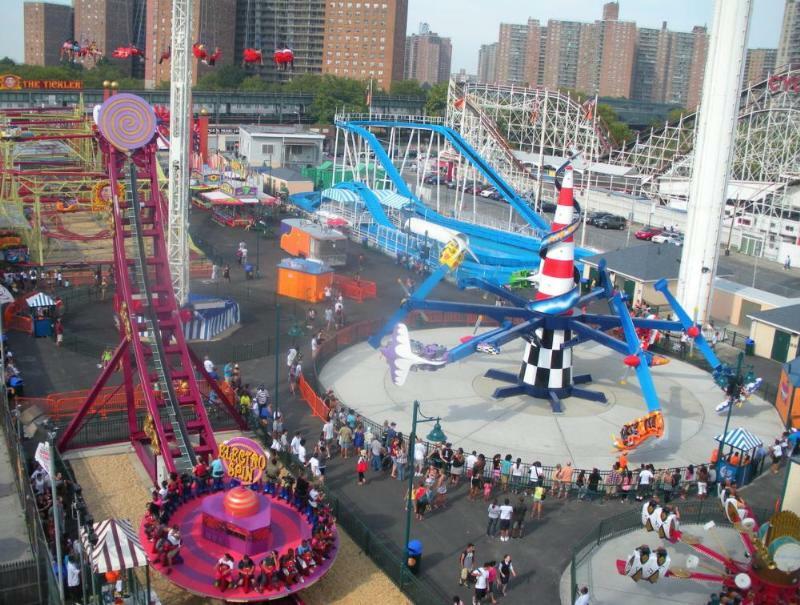 So calling it "the new Luna Park," even in tribute, is like calling Justin Bieber "the New Frank Sinatra." It just feels kinda wrong. But, hey, you can't please everyone. We went to Mountain Creek this weekend with friends. We hadn't been there in a couple of years, and a few things stood out. First, Samuel and Ethan refuse to stop growing. No more lifejackets in the wave pool. They braved a raft ride. They were asked to leave the pirate kiddie cove because they were too big. Second, I'd forgotten how un-Disneyfied Mountain Creek is. Most waterparks look like they were built by the same corporate engineering and design team: same materials, same specs, same fake fiberglass palm trees with hidden speakers blasting Jimmy Buffett's greatest hits. 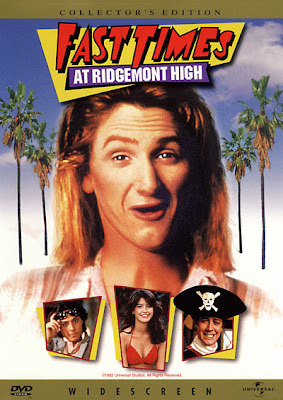 Mountain Creek looks like it was built by Spicoli from "Fast Times at Ridgemont High" and a few stoner buddies. "Dude, we should put like a giant cliff jump here." "Totally. Toss me a bag of concrete, bro." Click on the photo below to see the homemade padding placed around the base of the Tarzan swing, as if determined by trial and error. It's charming in an unnerving kind of way. In any event, we all enjoyed ourselves. And we were swayed by their 2-for-1 season pass marketing pitch, so we'll be back next year. "Mom, do they have nachos?" Mom: Yes. Do you want nachos? Ethan: Wait. Is it processed cheese? Ethan: Then yes, I want nachos. I'm in the middle of a grueling 6-week regimen to try to regain some of my cursing abilities that I lost due to fatherhood. I tried so hard not to curse around my kids for the past twelve years that now, when I step in dog pee at 2am I say, "Oh, my goodness!" I'm concerned that it's starting to negatively impact my persona as an edgy rebel. So I'm trying to say one bad word every hour. But it's a long road, gosh darn it. I appreciate your support. Okay, this is good news. "How About a Kiss for Me?" is featured in the "Autographed Books" section at ToysRUs for the next month or so. 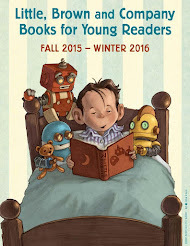 The way it works is that ToysRUs says to publishers, "Give us 1,500 signed bookplates from J.K. Rowling, Judy Blume, and Lemony Snicket." 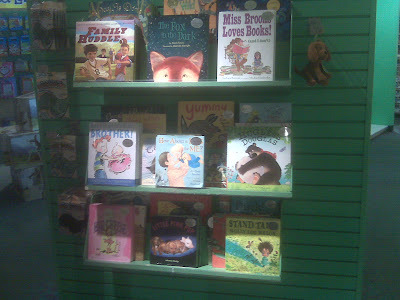 Then ToysRUs says, "Okay, okay, we'll take Dav Pilkey, Rick Riordan, and Jamie Lee Curtis." The publishers all laugh again, then say, "We'll give you Jeff Foxworthy and Kathie Lee Gifford. 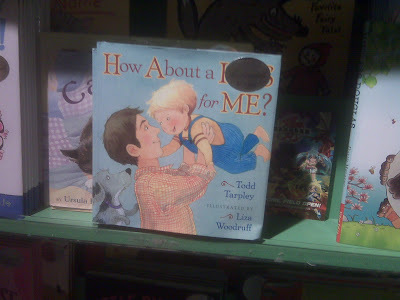 But you gotta take Todd Tarpley and the author of 'Dewey the Library Cat.'" Just got back from a weekend in East Hampton with friends who have a family house there. We're not part of the regular Hamptons crowd, mainly because neither Jennifer nor I are hedge fund managers (although I think we could do as well as Bernie Madoff). Nor do we hang out with Steven Spielberg or Christie Brinkley (although it begs the question, why not?). But I must confess that I can see why people like it there: the beach is great, and the homes are spectacular to gawk at. And we had the biggest sand castle on the beach. Everybody's exhausted. Thumbs up all around.